The Men's Roc Icon GT Shoe keeps your feet dry, warm, secure and steady. Comfort, grip and stability combine – and with sustainable materials used in the construction, it takes care of the environment as well. This shoe is built to function where other shoes can't. Strength and stability start from the ground up. 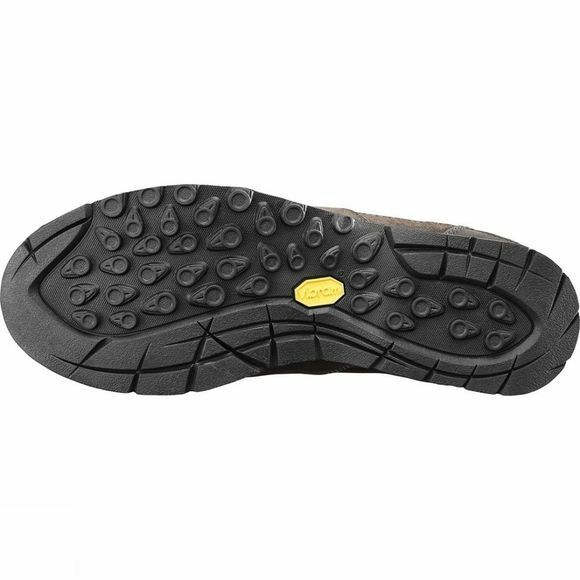 A Vibram Approach outsole provides superb grip on both wet and dry surfaces, and the design and PP board construction allow for long-term structural integrity. 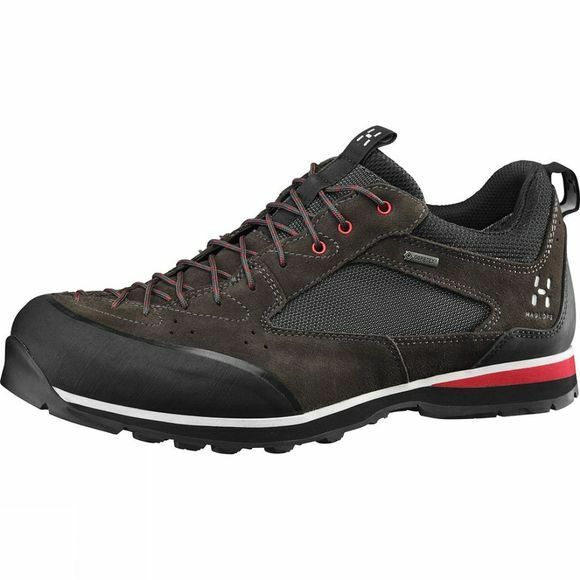 Gore-Tex Extended Comfort keeps water out and allows for breathability, and the footwear is constructed to allow relative ease of movement without compromising the strength that the high structure affords. Reinforced toes and heels increase the safety factor. It's comfortable as well. A dual density midsole softens impact and adds to walking stability, while the long asymmetric lacing system also adds a functional ease-of-adjustment boost. And the icing on the cake? The leather used in the construction of the Roc Icon GT is eco-friendly from a gold-rated tannery.